DAVID LE/Staff photo. 5/19/15. 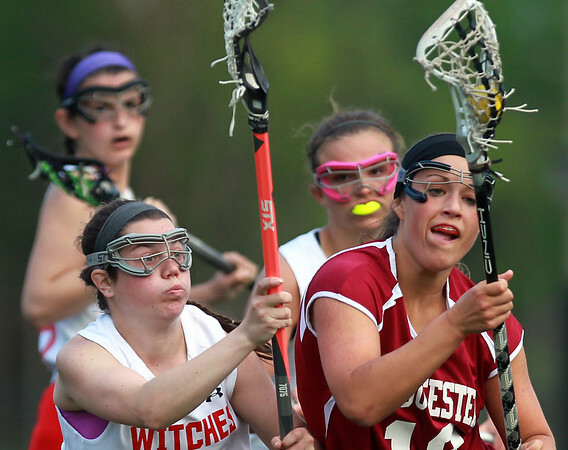 Salem midfielder Nicole Sadoway, left, holds off Gloucester midfielder Tess Destino , right, as she tries to drive to the net during the second half of play.